We honor all Writers who visit our Inn with a five percent ROOM rate discount (5%). Please bring one of your latest published books to receive the discount. This is a discount that is only offered for authors that have a book in your name available to the public on Amazon and/or Barnes and Nobles. Discount applied at check in. 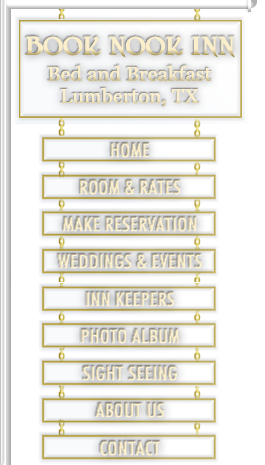 We would love a copy of your book to show to other guest who visit our inn. To show our respect to those who are serving our country with honor we offer a 5% ROOM rate discount to our Military and Public Safety Heroes in Uniform, including Police, and Fire Fighters. 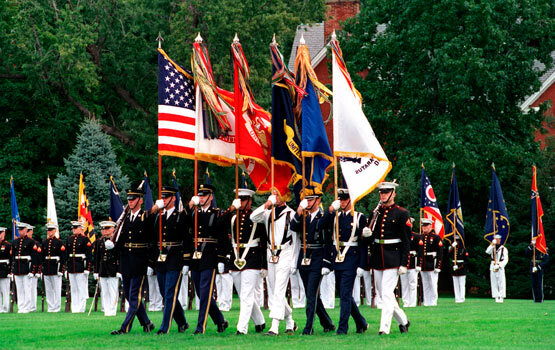 Book Nook Inn is proud to provide lodging to those who have served. Proper ID required as proof. May not be combined with other discounted specials or promotions except a Purple Heart Discount. Members of the Military Order of the Purple Heart are eligible for an additional five percent (5%) discount even in conjunction with one (1) other discount as long as the total discount does not exceed 15%. To receive this discount you must be a member in good standing with the Military Order of the Purple Heart and have your valid membership card with you at the time of Check in. Red Roses by the Dozen: For classic romance, a dozen red roses is always the perfect choice. 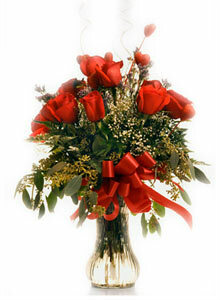 One dozen long-stemmed red roses in a clear glass vase. Approximately 20" W x 24" H $85.00 Pink Roses in Six: Grand Pink Roses arranged in a clear glass vase. Approximately 14" W x 18" H $55.00 Spring Colors Bouquet: Someone special makes your days a little brighter? Show them with this smiling mix of Bright Spring time colors. Approximately 13" W x 22" H $60.00 Passionate Reds Bouquet: Passionate reds and pinks convey your love. Approximately 18" W x 22" H $85.00 NOTE: When you order these bouquets, colors and flowers may vary based upon availability. Please remember that each design is custom made. No two arrangements are exactly alike, flower or color substitutions may be necessary.